OpenShot Video Editor | March / April Development Update (w/Screenshots)! Written by Jonathan on April 7, 2014 . I have a few exciting upcoming events to announce. So, if you are thirsting for more OpenShot news, please consider attending / watching these upcoming events. 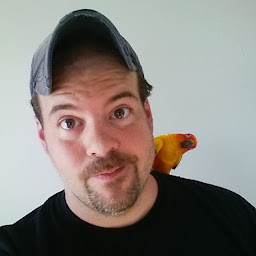 TBD: I will be on an upcoming episode of the Linux Action Show... although details and dates are not finalized yet. I'll post an update once I know more. Completed a new dock-based interface design (screenshots below). It is very cool! Users can now rearrange the interface of OpenShot to their liking. Arrangements are saved and restored automatically. This also now includes 2 preset arrangements (Simple and Advanced)! Completed a new "simple" Query API (to insert, update, and delete data related to projects, clips, tracks, etc...). This simplifies how our user interface can access and manipulate the data of a project. Fixed a ton of bugs related the timeline interface (where clips are dragged / dropped, etc...). It is working very well now, but still lacks a few important functions. The OpenShot Library (libopenshot) has also had some great improvements and updates, as well as a few major bug fixes. Completed our Qt Video Player widget (thanks to Duzy Chan). This has now been integrated into our PyQt interface and is working. And finally, we have officially released the OpenShot Library under the AGPLv3 open-source license, and published it on Launchpad.net!!! This is a huge step that took much longer than expected, but will help us move even faster now. Of course, progress sometimes runs into challenges and setbacks. Here are some of the setbacks we've recently encountered. There are a lot of small and seemingly unimportant tasks which somehow add up to form a tremendous amount of work. Not the satisfying "I just completed something awesome" kind of feeling. But the "I just spend 8 hours trying to pass a QEvent between 2 Python threads... Argghhhh". Integrating our live video preview with our PyQt application was a tricky task (which has been successfully completed now). This took about 10 days of blood, sweat, and tears to integrate successfully. It involved passing Qt pointers between 2 different Python wrappers, SIP and SWIG. Passing signals and events between libopenshot-->SWIG-->PyQt-->SIP-->Qt5. I have spent some time working on Installers for the various parts of OpenShot 2.0, and this continues to be a slow process. No one installer system works for all platforms, and all parts of OpenShot. But I have been able to build installers for various parts of OpenShot, that work on Linux, Mac, and Windows. But I am really trying to create a single installer, which will support all platforms and all aspects of OpenShot 2.0. It's a work in progress. Here is our completed template-based 3D animation system, which is one of the more complex features in OpenShot. It uses Blender (a popular 3D animation application) as the back-bone, and allows you (the user) to easily adjust an animation, customize text and colors, and generate a 3D animation to use in your video. As I mentioned above, we now have the ability for our users to customize the interface of OpenShot, dragging various sections and widgets and dropping them where you want them. We will default to our "Simple View", which closely resembles OpenShot 1.x. If perhaps you would rather have more options on the screen at once, you might prefer our "Advanced View" (which is not finalized yet, or course). Finally, if neither of our "pre-built" views fit your liking, you can just drag things around, dock and un-dock things, and come up with your own awesome interface. Here is a quick example I created by simply dragging things around. None of these screens are even close to final, but hopefully they give you an idea of the direction our team is moving in. We are trying to keep our default interface as simple as possible (so it appeals to the widest possible audience), but make it super easy for advanced users to leverage all the powerful features and customize the interface to what works for them. This is by far the most requested question I get: When will OpenShot 2.0 be ready for me to beta test? I'm becoming very hesitant to answer this question, because I'm always wrong about the answer. The best answer I can give is not what everyone wants to hear. OpenShot 2.0 is making progress for sure, but much slower than I could have ever anticipated. I am very anxious to complete the project, of course, but I also want it to work great, and achieve all the lofty goals we have set for ourselves. Effect and Clip interfaces are still unfinished (designed and partially coded). By the way, these are also dock-able widgets, which remain on the screen as you select different clips or effects. Over the next many weeks, I'm hoping to knock off many of these tasks, especially the installer task. Once I have these tasks completed, I will release download links to Kickstarter tiers that included early beta access, and I will also publish our PyQt application on Launchpad.net with an AGPLv3 license. Once again, I just want to say thank you for all your support to myself and OpenShot. This has been a really fun and challenging experience, and we are getting closer and closer to the end of this Kickstarter campaign (and the start of something really exciting: OpenShot 2.0)!